What’s the difference between a good boss and a superboss? 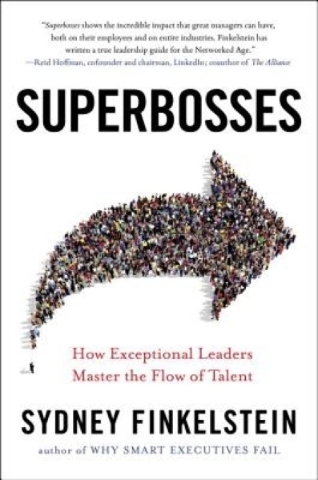 “Superbosses — How Exceptional Leaders Master the Flow of Talent” by Sydney Finkelstein (Portfolio/Penguin, $27.95). What’s the difference between a good boss and a superboss? Outlook. When creating opportunities for subordinates, both kinds of bosses aim to create well-rounded, organizationally-experienced individuals, but the approaches differ. Good bosses follow the lockstep, career-ladder approach, which slots employees into positions over time. Sounds logical. But locking all employees into a specific track doesn’t account for individuals’ differences. It also makes coaching them harder because one size does not fit all. Superbosses personalize opportunities based on their knowledge of their subordinates. They share “the workplace experience with their employees” by walk-around managing. This getting-to-know-you approach lets superbosses designate assignments that will constantly challenge their staffs. Moving up depends on individual workers’ ability to meet challenges. Superbosses’ knowledge of their staffs “establishes a kind of insider sensibility for protÃ©gÃ©s,” which maximizes their talent. Superbosses build teams differently, too. Although collaboration remains the team’s foundation, superbosses also encourage and value competitiveness within the team. Why? They see collaboration and competitiveness as allies of productivity. While collaboration starts the team on the same page, internal competition allows the team to creatively write new pages that define and refine innovative solutions. Finkelstein’s numerous examples of superbosses and their subordinates show that there’s a huge difference between managing talent and growing talent. 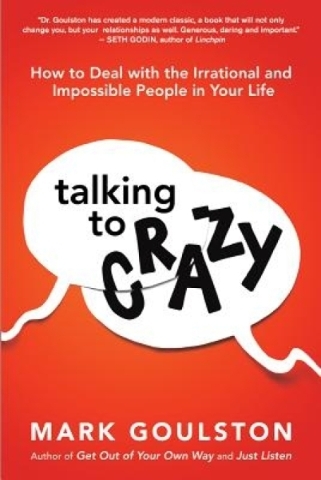 “Talking to Crazy: How to Deal with the Irrational and Impossible People in Your Life” by Mark Goulston (AMACOM, $24.95). 1. “Keep your own crazy at bay when you’re under attack.” Becoming defensive only adds fuel to their fire. They win; you lose. Pause before you respond. This frames your awareness of the situation and calms your emotions. By maintaining your poise, you disarm the crazy — yours and theirs. 2. “The belly roll.” Don’t try to take charge of the conversation. Instead, roll over and let the irrational person lead the conversation. Sounds counterintuitive, but it’s not. “Increasing the person’s power lessens his need to act out.” If the person sees you as nonthreatening, the attack stops and real conversation starts. 3. “Time travel.” You can’t change their past or yours. The future beckons. Simply asking, “What do you want me to do or not do?” starts a conversation. As it progresses, weave your expectation for her/him into it. 4. “The fishbowl.” The eyes are the window to the soul. Look the person in the eye and don’t speak. He/she will eventually return eye contact. Maintain that contact. When you see signs that the person wants to listen, restart the conversation. 5. The “butter up” works well with know-it-alls. Identify the areas where the person excels and play to them. Guide the conversation to how the person could expand those skills. By seeing you as a mentor, the person may be open to taking your advice. Bottom Line: Learn to manage the crazies in your life, or they’ll manage you.